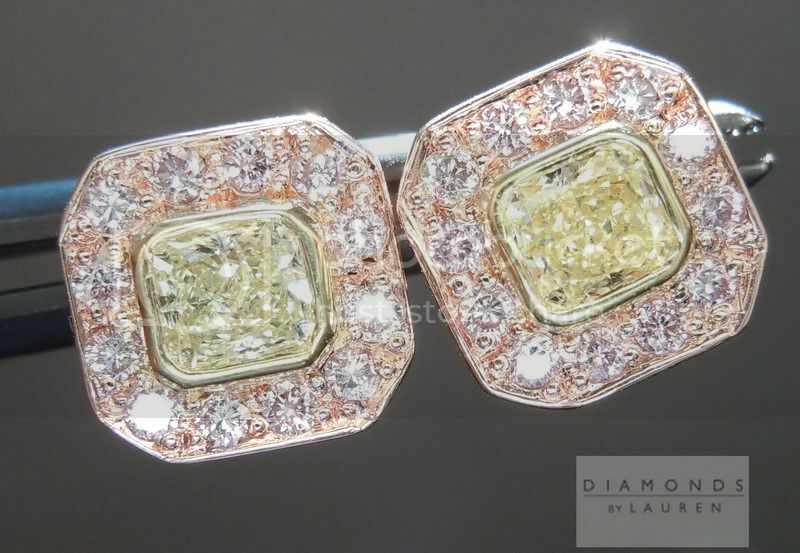 This is a lovely pair of diamond halo earrings. The radiant diamonds are beautifully cut and give off a lot of sparkle. 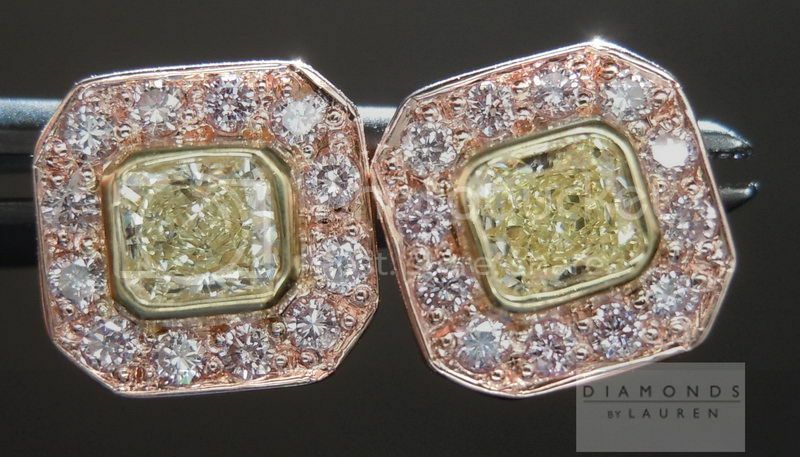 The pink diamond halo is so very pink, giving a lovely contrast to the yellow color. 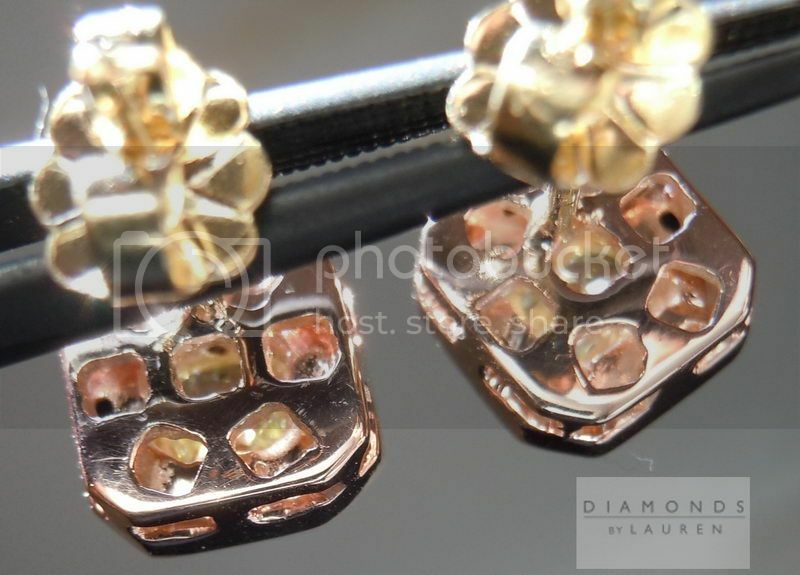 The combined diamond weight on these earrings is .62cts. 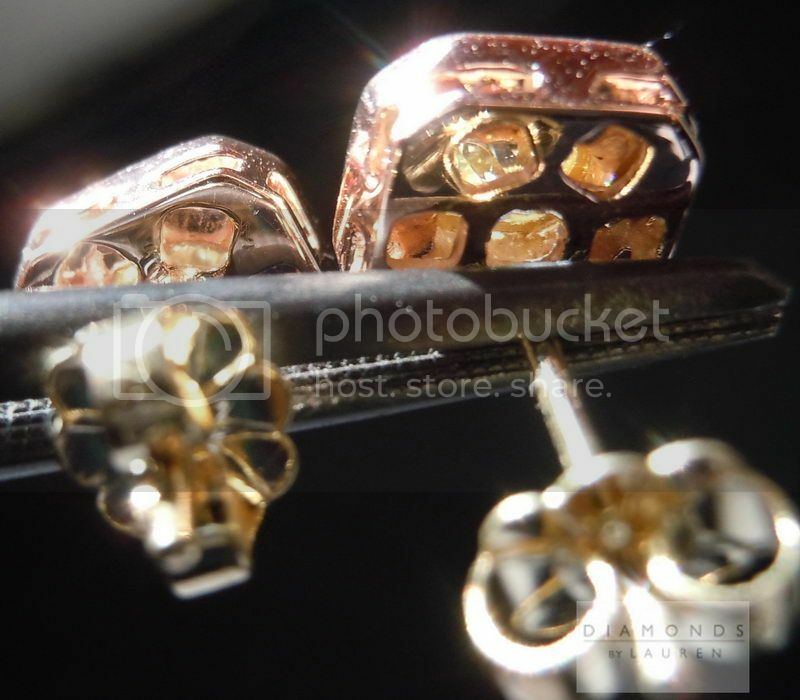 You can see the quality of the workmanship in these close up photos. The ear. We do not scrimp when it comes to making earrings. The posts are sturdy and the backings are a nice size, keeping your earrings secure on your ear.